Hi, this is Garrett Madison calling in for the Alpine Ascents Mount Vinson Expedition Team Four Continents, that is with Hugo from the Netherlands, Ron from Australia, and Mirza and sister Samina from Pakistan. 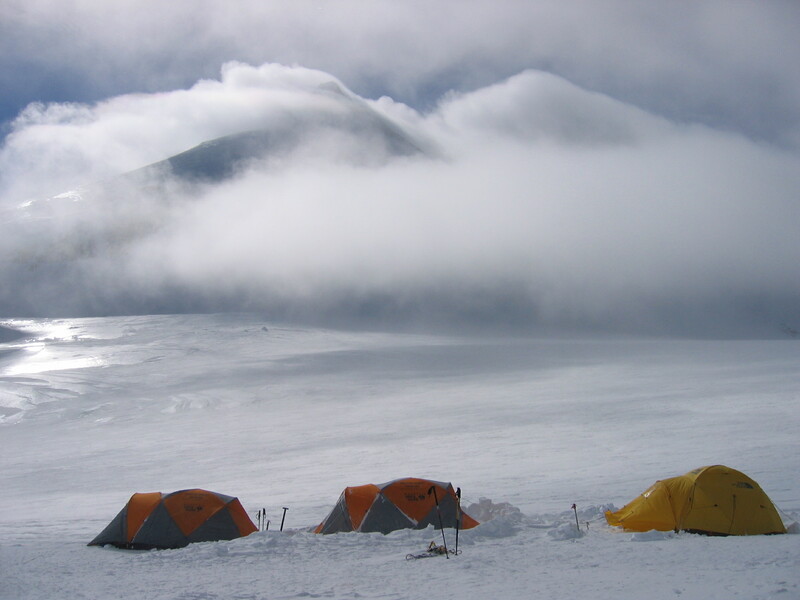 Today we climbed from Low Camp to High Camp and we are currently at High Camp tucked in our tents. We had a long day, a very windy day getting up here. But we set up camp, and got some hot water going, and had dinner. And now we’re just resting and sleeping, and looking forward to tomorrow. We’re going to rest tomorrow and potentially summit the next day if the weather’s good. So we’re happy to be up here. Everybody’s doing well. And we look forward to checking in again soon.